January 17, 2019 11:31 am. 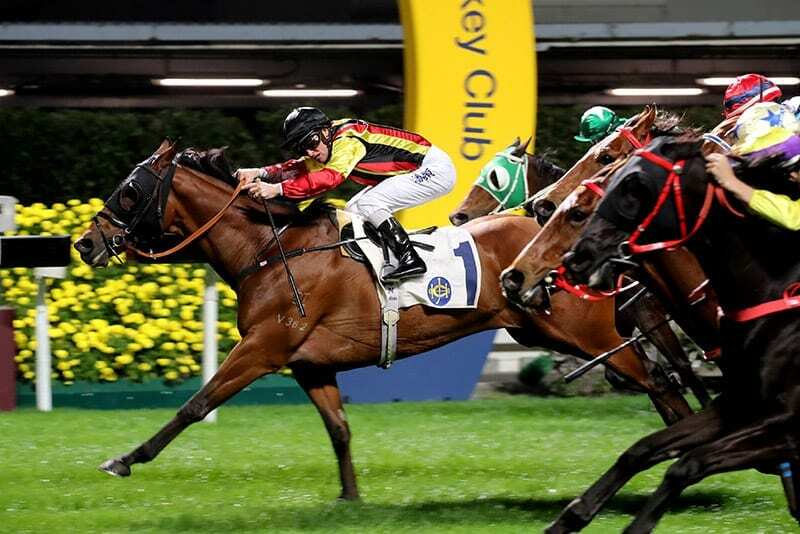 It may be a bread and butter Class 4 handicap but the Craigengower Cricket Club Challenge Cup (1200m) was the feature at Happy Valley on Wednesday (16 January) night and for the second year running Navas (133lb) carried off the trophy, along with the HK$524,400 first prize purse. Danny Shum ended the night with a treble. It started when he and Karis Teetan teamed up for a double early on the card. Clement Legend was the 1.8 favourite to win the 2200m opener and he did just that, but the margin was fine: Teetan had to drive hard to deliver the gelding right on the line to edge a three-way finish by a head, and so seal the combination’s fourth win on the bounce.